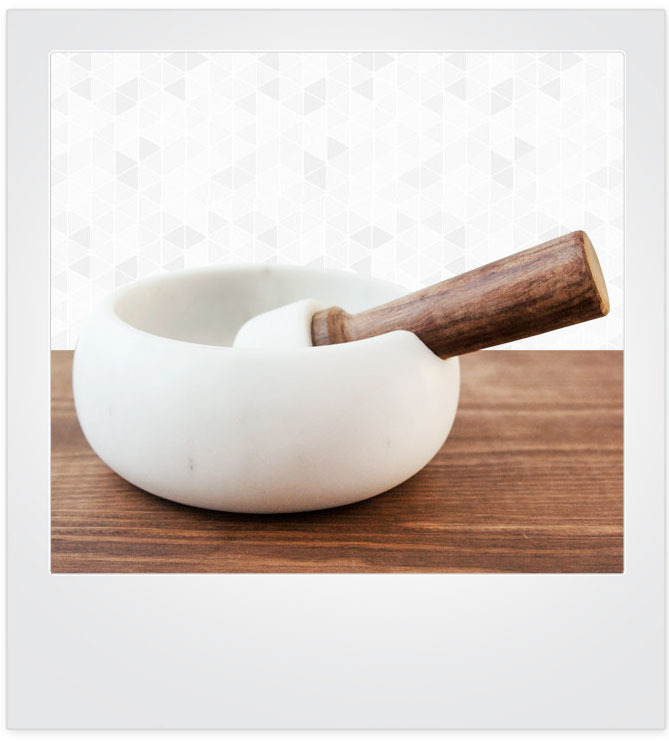 looking for a high quality mortar & pestle? pesto 2-piece marble mortar and wooden pestle. hand-crafted white marble mortar with pestle set. nova68 pesto collection. our pesto 2-piece wood pestle and marble mortar is a stylish yet practical mortar & pestle set for the kitchen & dining table. designed to be stable enough to use when placed on the kitchen counter and small enough to hold in one hand for functionality. its high-quality pestle and mortar make light work of grinding spices and herbs for your favorite dishes. you can also use it to grind-up curry powder...or perhaps your medications. pesto's design features smooth hand-crafted shapes for an artful display. mortar measures about 6" diameter. price is for the complete serving set as pictured. at just the right weight and size, pesto is pleasing to the eye and does what its intended to do. this beautiful marble pestle and mortar set makes an excellent gift idea for housewarmings, newlyweds, holidays...or perhaps the best idea: yourself!